#80. Mount Tamalpais from San Rafael. 30 x 57, oil on canvas, relined. "Gilbert Munger 1870" lower left. 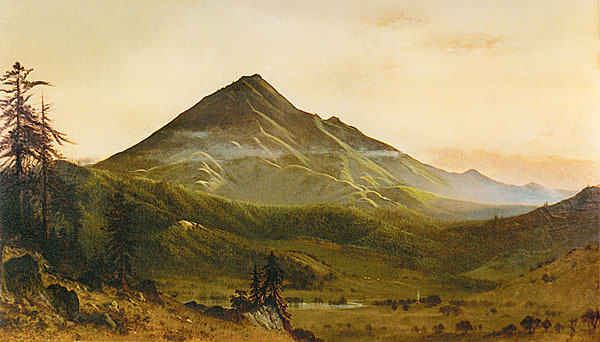 The view here of the East Peak is substantially the same as the one shown in painting #3. 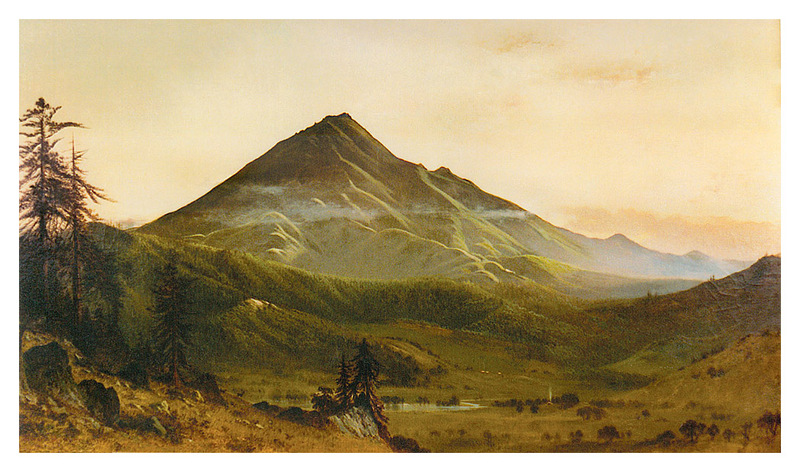 This paintings was reviewed in the newspaper Alta California on 28 Aug 1870. From Karges Gallery, Carmel CA, in 1987 to a private collection. QFD 21. Image from owner's transparency..